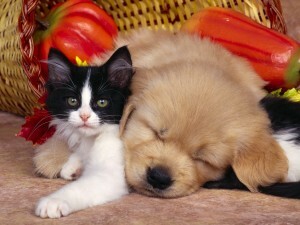 You are currently browsing the The Pet Product Guru blog archives for April, 2011. The secret of housebreaking a puppy is to catch him in the act of doing things right and give him lots of praise. Pups generally want to please. To start, take your pup out often,the first thing in the morning, after he eats a meal, after a play session and every couple of hours otherwise. As you can see, it will require someone being at home with the pup at first. Soon, the routine will emerge. Be patient, young pups don’t have the muscle control to hold things in, so it’s up to you to figure out the timing. To keep stress levels low, contain the pup in an easy clean up place until he gets the idea. Don’t reprimand him unless you catch him in the act of doing something wrong. Even then, make it nothing more than a firm “no.” Don’t forget to reward him with dog treats every now and then when he’s right on target. In six to eight weeks, your pup will learn what you want and be happy to oblige. When you’re trying to teach your puppy a simple command or you’re correcting bad behavior, an appropriate tone of voice will convey the message most clearly. Remember that you’re dog is not human and he doesn’t understand English. Give commands in a clear, firm voice with a tone that says that “I am your leader.” Never let sharp, edgy or frustrated tones creep into your voice. That will only confuse your little pup. He’ll know that you’re displeased but he won’t know why. 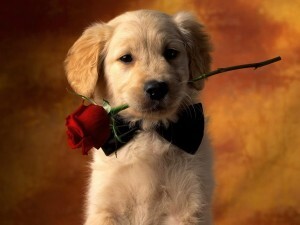 Whenever your puppy responds well or behaves nicely, praise him with warm, encouraging, upbeat tones. He’ll know that you’re happy and he’ll repeat the behavior. It may take awhile but your pup will learn if you stay calm and consistent. When he does behave well, don’t forget to reward him with a dog treat! 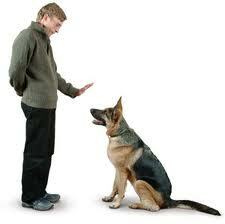 Nothing will make your dog’s life calmer, happier and even safer than learning a few basic commands. You could start with “sit.” It’s one of the easiest to learn and it’s also lets your dog know that you’re in charge and that he should obey you. Teaching him to come is a little more of a challenge but it’s worth the effort. You could imagine that this is important if he slips out of his dog leash and runs into the street. “Stay” could be equally useful for keeping him out of harms way. Another command that often comes in handy is “drop it.” Time and again, you’ll be glad that he knows that one. By teaching him these commands, you’ll lay the ground work for a happier relationship with your best friend! When you bring home a new puppy,you’ll want to have a few essential accessories on hand. Especially formulated puppy food and tip proof food and water bowls. An adjustable cloth or nylon collar along with a leash for those frequent walks that you’ll be taking. A roomy crate, dog carrier or dog bed is also essential because your pup will do a lot of sleeping at first. Don’t forget about an ID tag and put it on his collar right away just in case he wanders off. 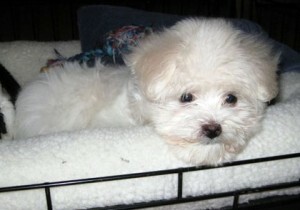 Other items that come in extremely handy include training pads, grooming supplies and toys for chasing and for chewing. Your energetic new pup will need things to keep him occupied when you’re busy or away from home. This breed is not a pure bred and was introduced by Queen Elizabeth. It happened when one of her corgis mated with Princess Margaret’s Dachshund. The queen is not a pure bred snob but she does know that mixed breeds are generally healthier than pure breds. 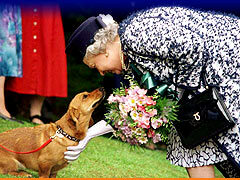 About half of the Queen’s dogs are Dorgis, a mix between the Dachshund and the Corgis. The Dorgis did not come about by accident. The queen went out of her way to breed these dogs. Dachshunds have back problems which could not be controlled by pet medication and commonly end up in wheel chairs. Many are put down because of back problems. If you could have a dog that looked and acted mostly like a Dachshund (and may even be better behaved) and could be assured that you would not have to go through the heartbreak of having to put it down because of back trouble, wouldn’t you prefer a Dorgis? The Queen showed us that we have a choice. If mixed breed dogs are good enough for the Queen, are they good enough for you? I know that I would rather have a healthier dog even if it means having a mixed breed. Last weekend, the east coast had several severe rain storms. One calico cat was found on Governors island about a mile out in New York harbor. 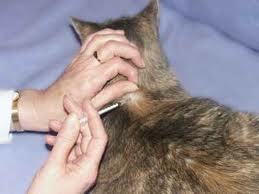 The cat’s fur was matted with some sea weed intertwined and she was wet. It’s suspected that this cat got swept out in the bay at the time of the severe thunderstorm and swam to safety on Governor’s Island. Cats do know how to swim. Some are good swimmers and some, not so good but they have a natural instinct to swim just as dogs do. There was a time when cats loved the water but as time passed, they slowly began not to like being in water. 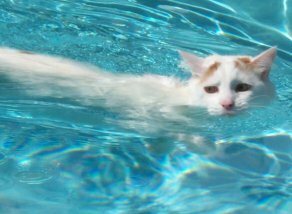 A cat breed that loves the water and is a very good swimmer is the Turkish Van. 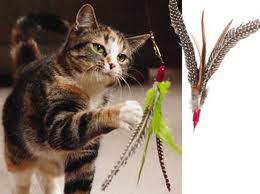 Their paws help to move them forward and their tails act as rudders. They swam to cool themselves off on a hot day in Turkey and originated at Lake Van, hence the name. Even though some cats don’t mind water, I’m sure they would rather be catching some “z’s” in their nice comfortable cat bed!